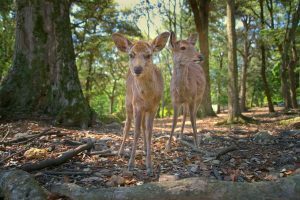 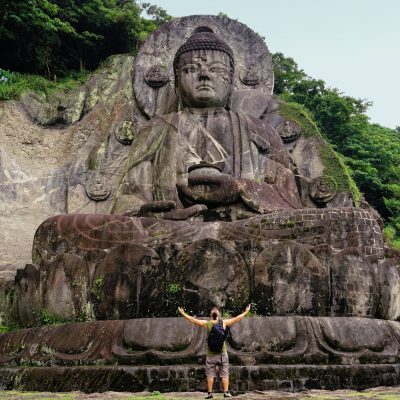 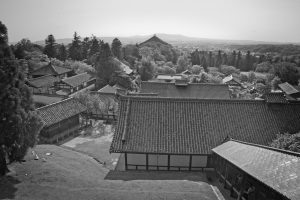 Nara is one of the best day trips you can do from Osaka and it takes less than an hour with public transport. 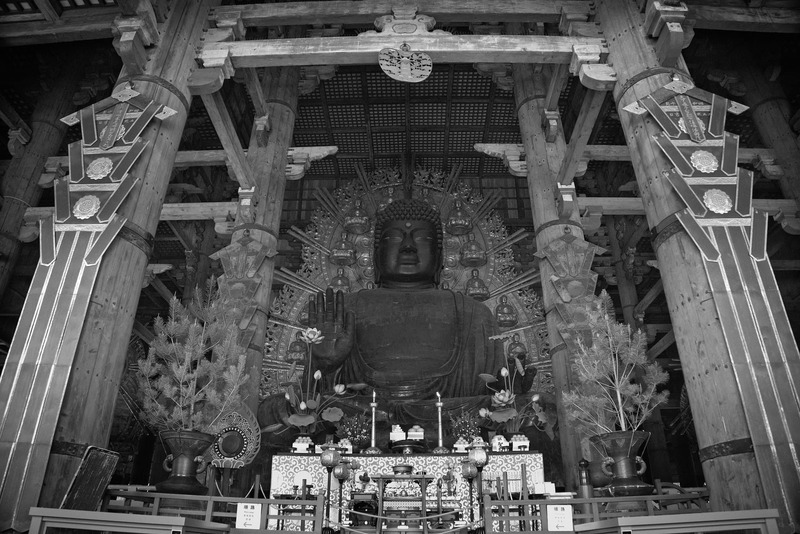 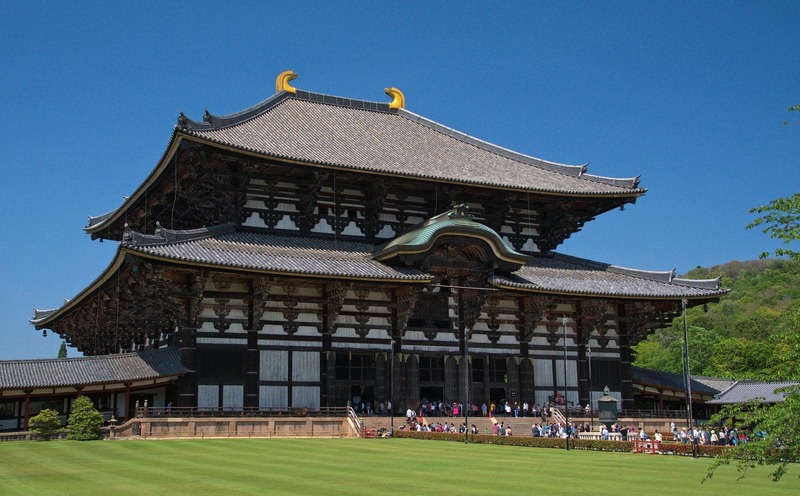 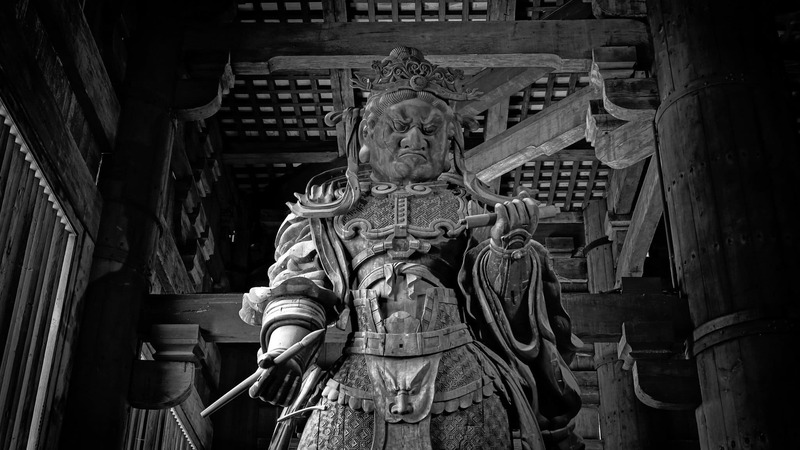 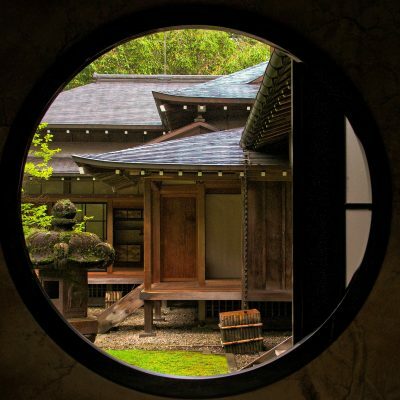 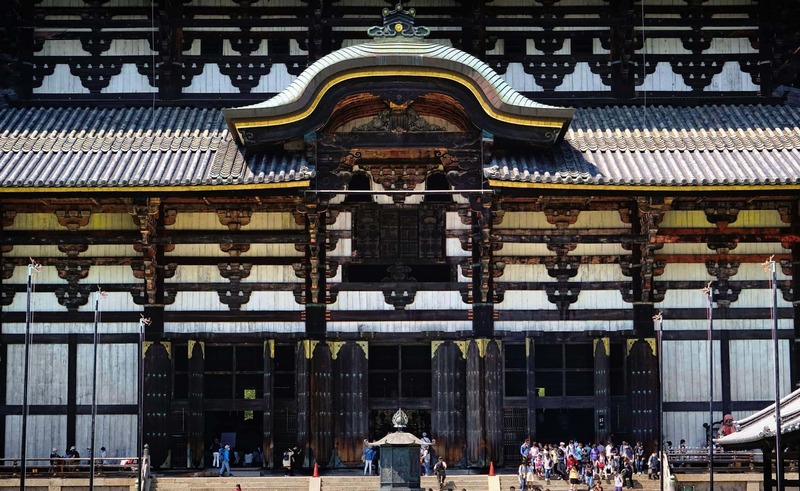 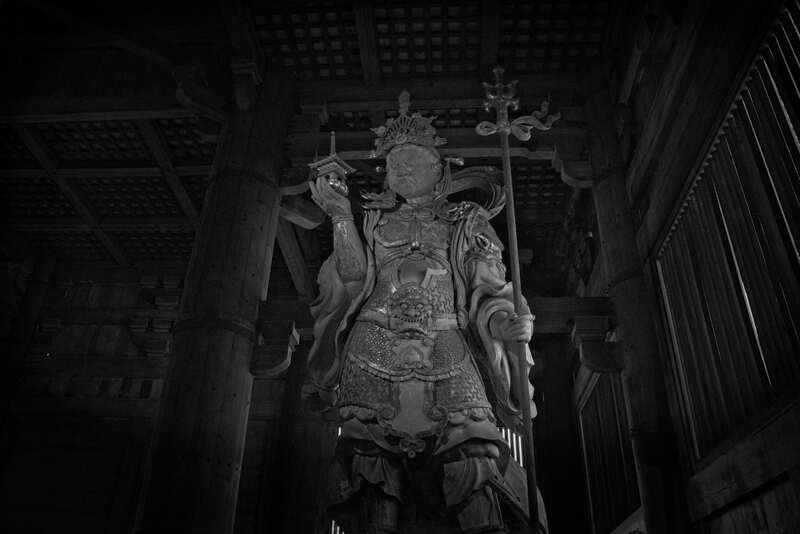 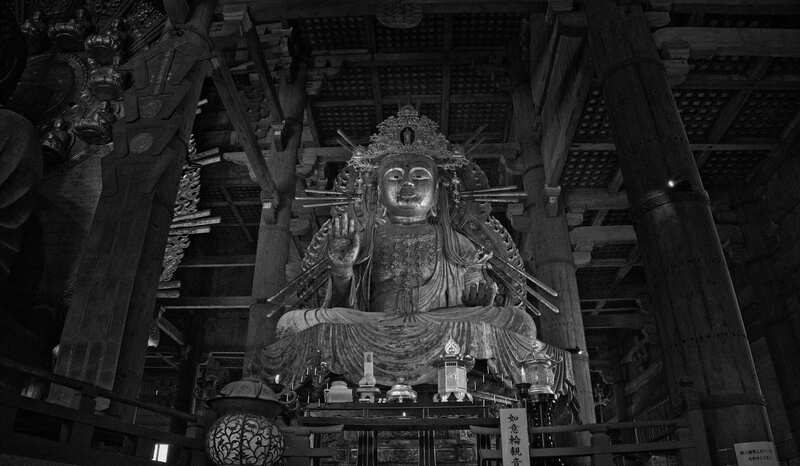 One of the main reasons to visit Nara is to visit its temples and shrines. 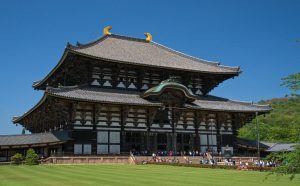 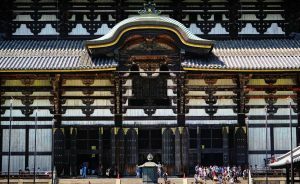 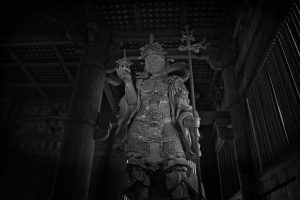 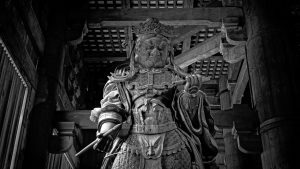 There are several ones around the city but, definitely, you should not miss Tōdai-ji which used to be the world’s largest wooden building until some years ago. 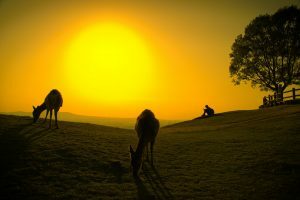 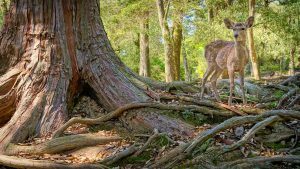 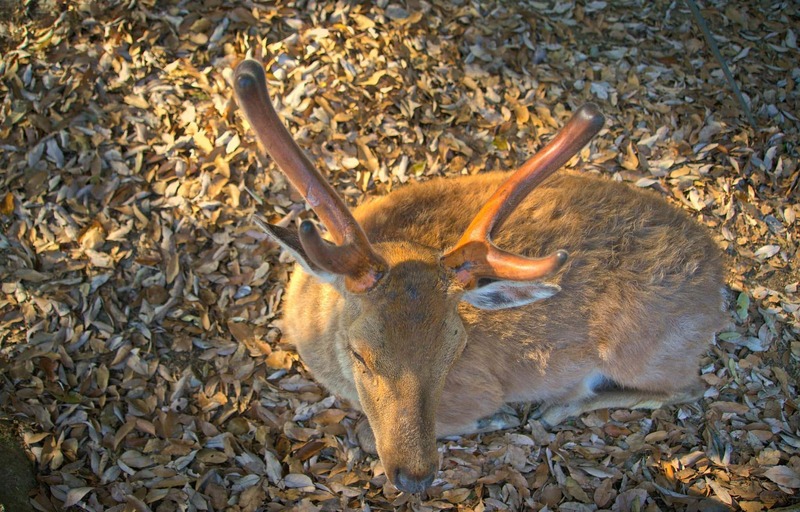 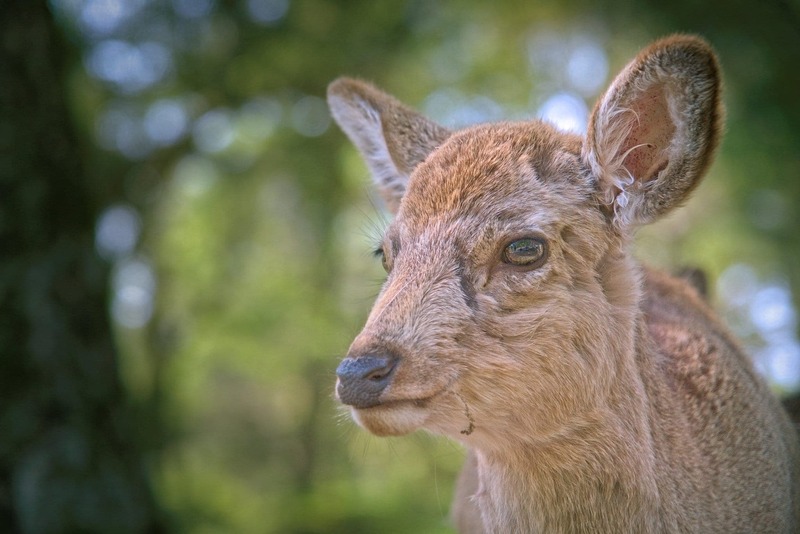 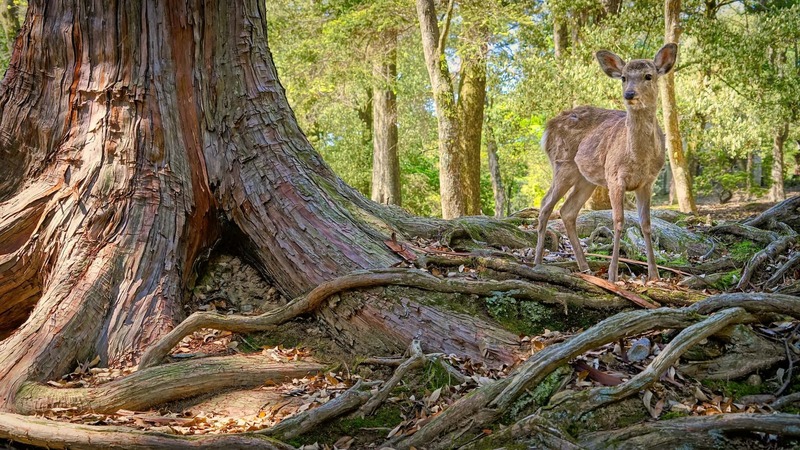 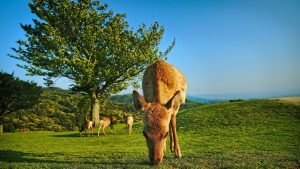 If you are planning to visit Nara you are probably already aware of its other famous attraction , its hundred of deer that walk freely through its green areas. 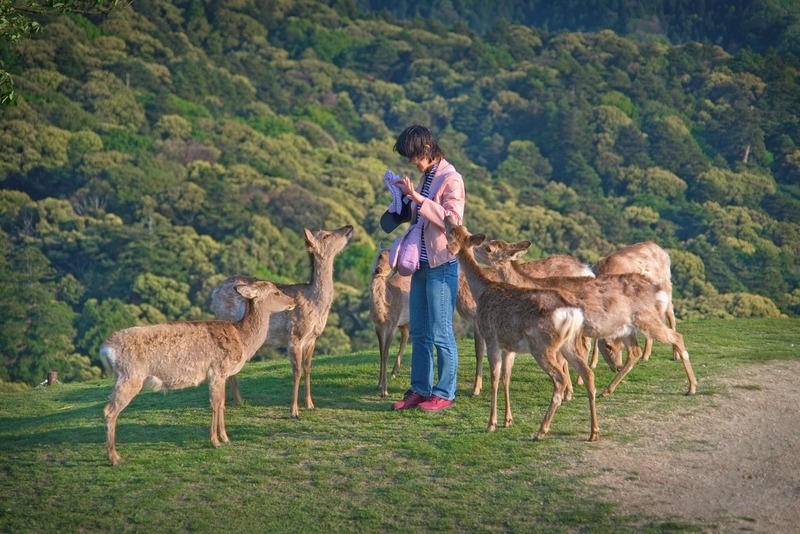 They are really used to the human contact, mostly because many people feed them with some cookies sell all around the parks. 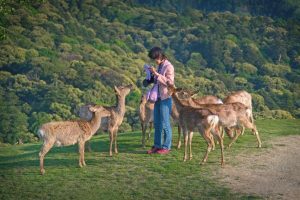 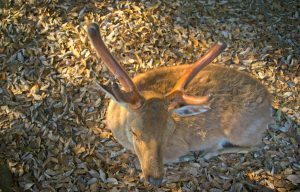 It is not difficult to see some tourist experiencing some problems as they make the mistake of show the whole cookies bag to the deer which don’t hesitate to do whatever is needed to grab the whole bag. 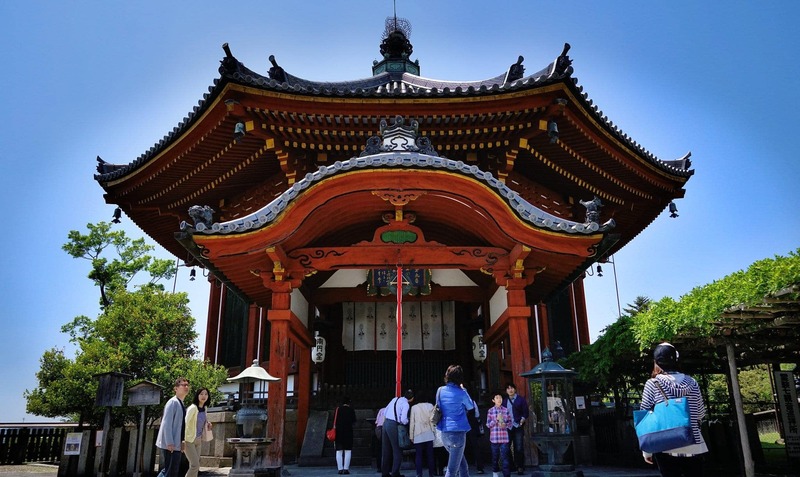 Once you’ve get tired of visiting temples you can climb the Wakakusa hill . 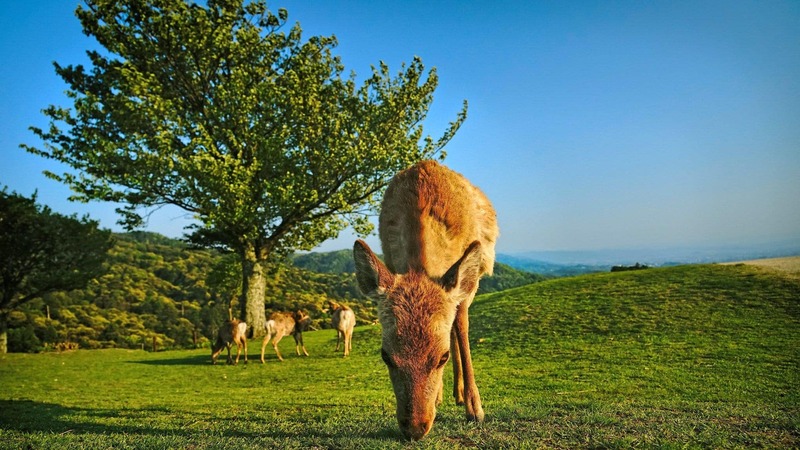 It is a small hill which can be climb in less than 45m and has an unbeatable view of Nara. 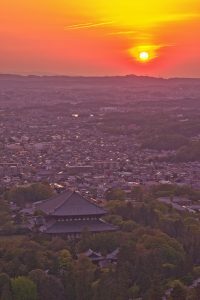 Here, besides finding more and more deer you can enjoy the sunset over the city. With the night falling , you can just take a train back to Osaka in no time!